A girl was born in 1806 to the Gros Ventres but in a wave of inter-tribal rage and revenge, she was kidnapped by a raiding party of Crows when she was only 10. A Crow warrior adopted her and raised as one of his people. She seemed quite rebellious toward “girl’s behaviour” and was keen to acquire skills which were traditionally perceived as male ones. Her foster father had already lost his sons in battles or illness and keenly encouraged the pursuits of his daughter – Pine Leaf. She was educated as she was a boy and assisted in gaining her skills in horse riding, marksmanship, and ability to field-dress a buffalo. However, she kept dressing as a girl. 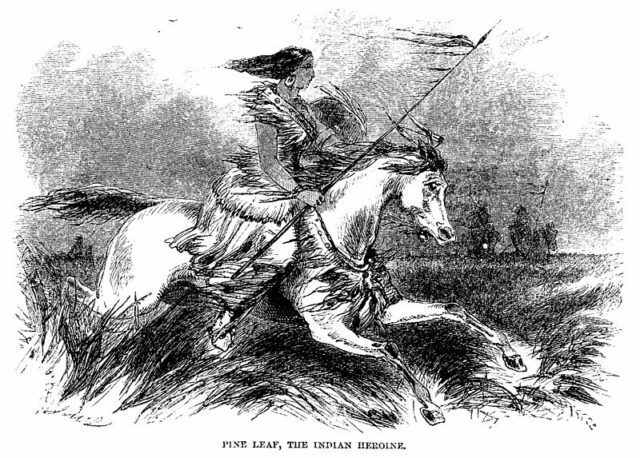 Idealized illustration of “Pine Leaf,” possibly identified with Woman Chief, from James Beckwourth’s autobiography. After the death of her father, she gained the leadership of his lodge. She got the respect as a warrior after she proved her skills in a riot with the Blackfoots. Pine Leaf was also the most reliable in defending her people whenever there was a need for it. She would answer to any fight in order to protect her people. 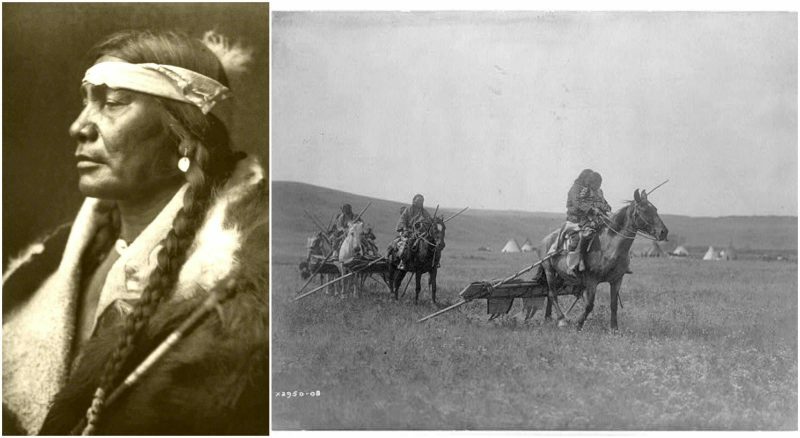 Also, she formed a group of warriors with whom she reportedly attacked the Blackfoot and stole their horses. 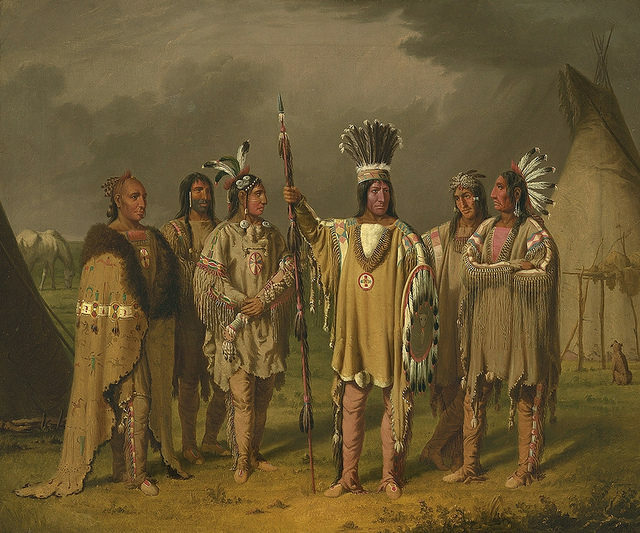 Six Blackfeet chiefs painted by Paul Kane along the South Saskatchewan River in Canada (c.1851-1856). It was natural for her to be chosen as bacheeítche (Chief) in the Council of Chiefs and to represent her lodge. She was given the name Bíawacheeitchish, or “Woman Chief.” Later, she would become third among the Council’s 160 lodges. From all data about her, it is hard to say if she married four wives because she was attracted to them or for the benefits of their dowry to increase her wealth. She made peace with the Gros Ventres party but after a few years, some of their people killed her. She met with a number of Western explorers including Edwin Denig and Rudolph Kurz, and they were enchanted by her. All stories written about Pine Leaf praise her bravery, cleverness, and skills. Most of the information the world has about her come from James Beckwourth who wrote about Pine Leaf – the Crow warrior. In his writings, he seems fascinated by her, which leaves the reader with the question if he used his fascination lead him to an imagination about the things he wrote. Beckwourth claimed that he met Pine Leaf while living with the Crow in the 1820s. Left photo – James P. Beckwourth, circa 1860, in Denver, Kansas Territory. 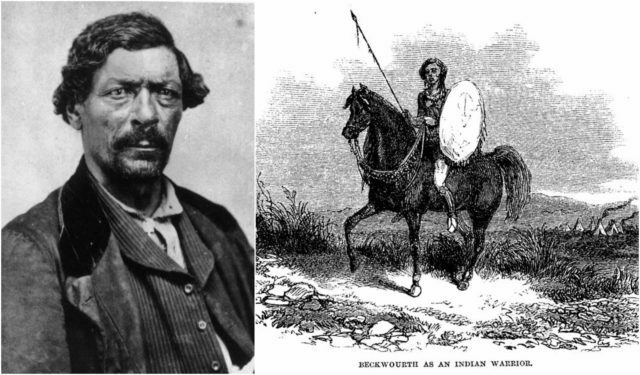 Right photo – Beckwourth as an Indian warrior, 1856. He also claimed to have had a romantic relationship with Pine Leaf, which is also not a very reliable fact. There are a few other woman-warriors beside Pine Leaf, all from the Crow Nation. 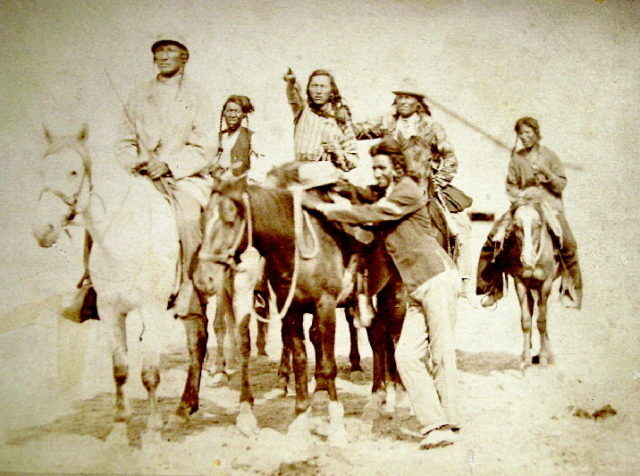 Two such are Akkeekaahuush and Biliíche Héeleelash who was a prominent war leader.